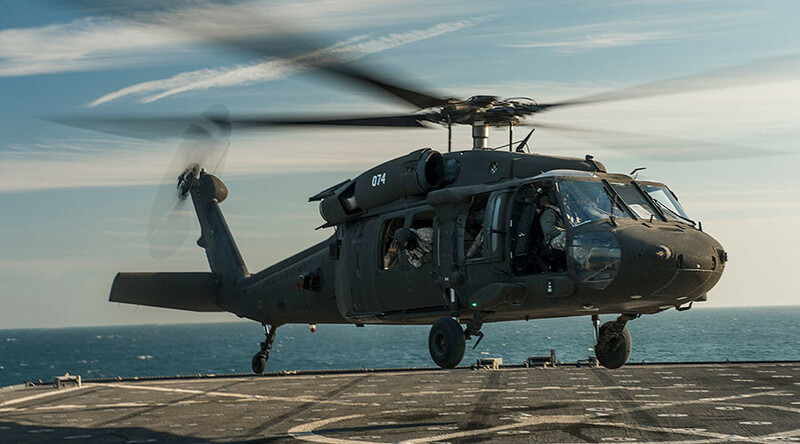 Five UH-60 Black Hawk helicopters and nearly 50 crew members have arrived in the Latvian capital of Riga as part of NATO’s Atlantic Resolve operation which sees an enhancement of American forces across the Baltic States. 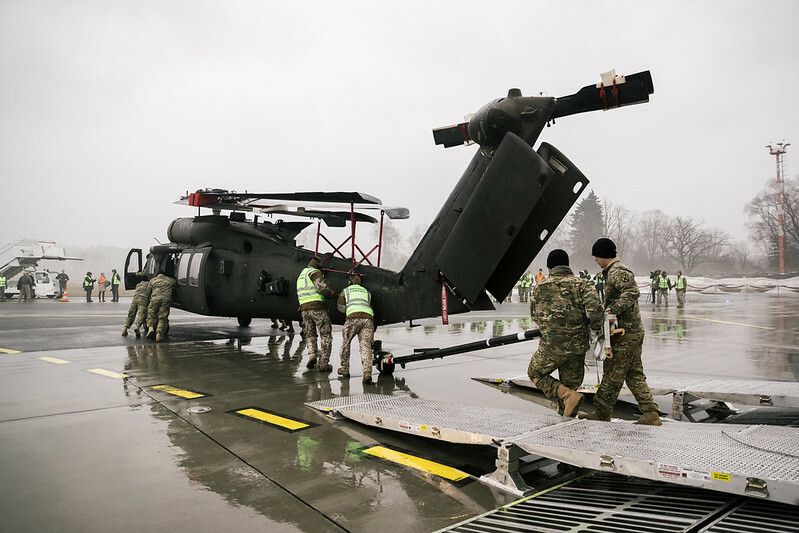 The helicopters were unloaded from a transport plane on Wednesday and welcomed by officials including US Ambassador to Latvia Nancy Bikoff Pettit. “US Air Force transport aircraft with UH-60 Black Hawk helicopters and military units Phoenix 10th Air Brigade of the US Army arrived at Riga airport,” the Latvian Defense Ministry reported. 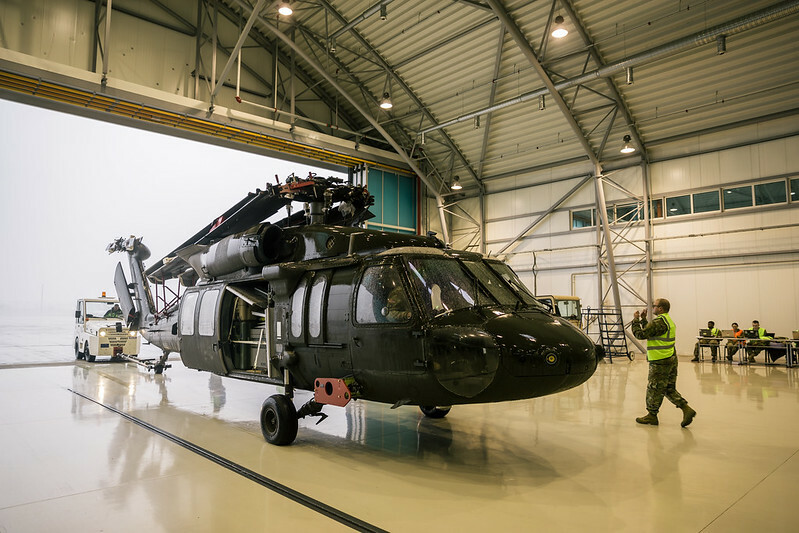 The ministry said earlier that the new arrivals will replace the existing unit of Black Hawk helicopters deployed at the Lielvarde Air Base in central Latvia. “We are thrilled to welcome so many excellent American soldiers, who will serve as members of the continuing US aviation presence deployed to NATO’s eastern flank in support of Operation Atlantic Resolve,” Ambassador Pettit said at Riga International Airport. “I see nothing but an incredibly bright future for US and Latvian relations because of how closely our two countries work together,”said Maj. Gen. Timothy Zadalis, US Air Forces in Europe vice commander. The deployment of the choppers in Latvia marks another phase of Operation Atlantic Resolve, which began in April 2014, following the Crimean referendum where people voted to split from coup-stricken Ukraine and join Russia. In total, the US Air Force is offering the Eastern European countries a total of 85 aircraft, including CH-47 Chinooks, UH-60 Black Hawks, and AH-64 Apaches. 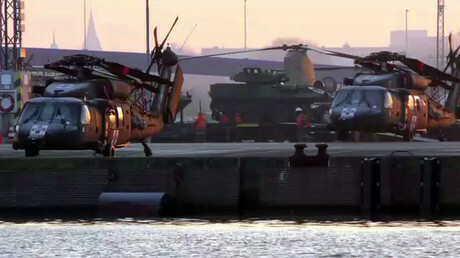 Medical evacuation helicopters and some 2,200 soldiers will also be deployed to assist the helicopter forces in Eastern Europe. Atlantic Resolve is perceived by Washington as a demonstration of continued US commitment to the collective security of Europe in view of alleged Russian “assertiveness.” US troops and hardware will be constantly stationed in the Eastern European countries on a rotational basis in this operation. 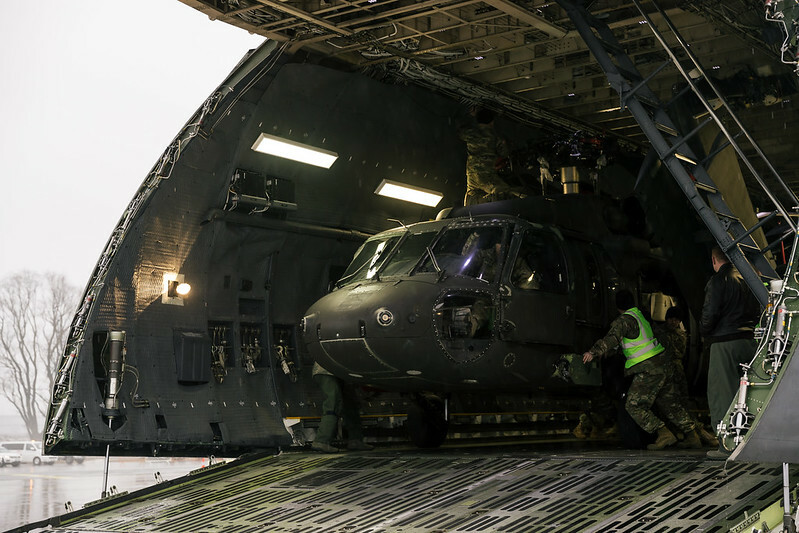 “Task Force Phoenix, led by the 3rd General Support Aviation Battalion, 10th Aviation Regiment, signifies the first rotational combat aviation brigade deployed to provide a persistent presence in Eastern Europe,” the US Air Force said in a press release. Russia has continuously criticized the buildup of NATO forces on its borders, where the military bloc has also fortified its naval positions in the Black Sea. In Romania, the US and NATO maintain a naval task force, along with Aegis Ashore ballistic missile defense sites which became operational earlier this year. Last month, speaking at the Munich Security Conference in Germany, the Russian Foreign Minister Sergey Lavrov, noted that “NATO's expansion has led to an unprecedented level of tension over the last 30 years in Europe." President Vladimir Putin has accused NATO of meddling in Russian affairs and trying to provoke a conflict. Putin warned that the alliance, with its “newly-declared official mission to deter Russia,” and repeated attempts to “draw us into a confrontation” poses a threat to global security.